I made an album for my son starting with the day he was born and including at least one photo a year since then. I used stickers from the collection for his birth date. 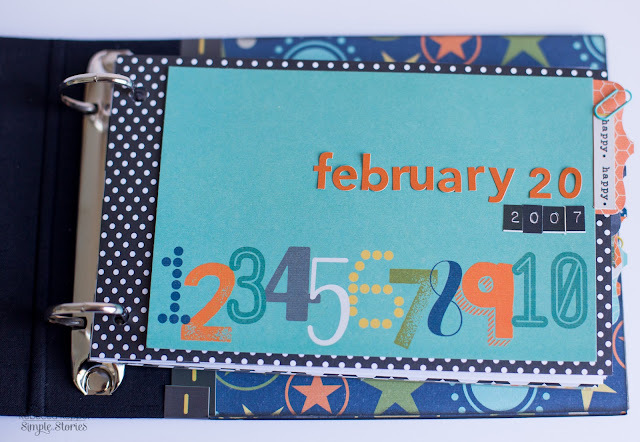 I love the chipboard stickers in this collection! I kept the pages very simple. Some typewritten journaling, a few cards and a strip of washi paper tape is all you need! I drew a tail for the paper airplane with a white gel pen. The boy elements in So Rad are...so rad!!! It's so fun to watch him grow up before my eyes! I included a shaker pocket by fusing one of the 2x2 pockets. 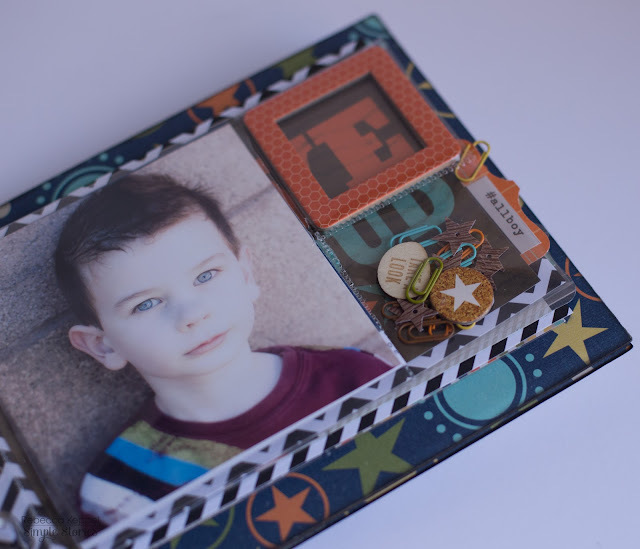 A boy shaker can include things like paper clips, wood veneer and stars. 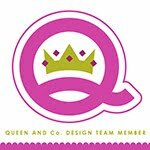 I love covering the raw chipboard with fun patterned papers from the collection. And the border stickers wrap around the entire album perfectly! I punched out some tabs from patterned paper and added some fun colored paper clips. I added some enamel dots to the birth date page. I loved how this collection looked in the Teal 4x6 album. 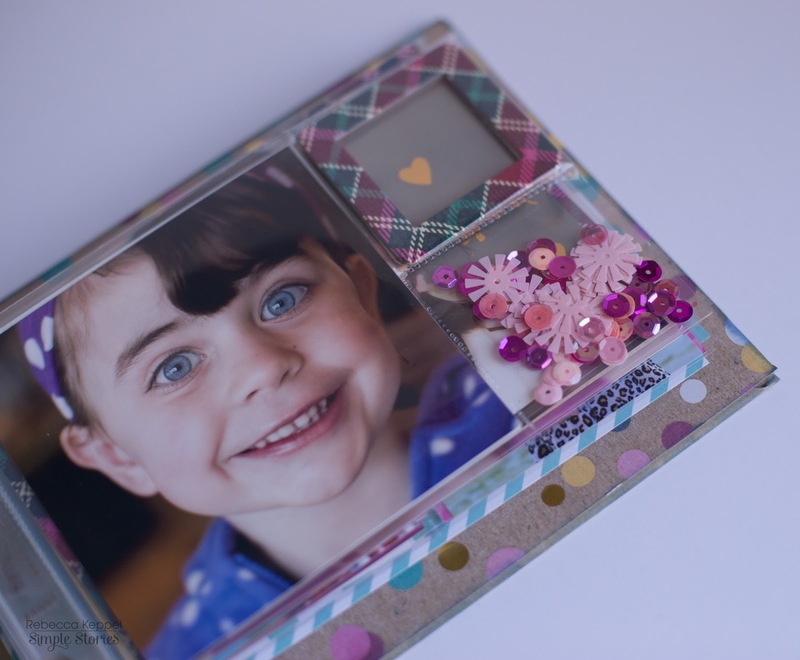 A 4x4 photo and the 2x2 square elements are so fun together! I used two mini chipboard frames back to back inside a 2x2 pocket to create a little window. Of course her shaker included pretty sequins! All of the phrases on the cards in this collection are perfection! The gold foil elements are fun too! I clipped a die cut over a card and layered a Bradz over another. I also love slipping in a 3x4 page protector becaue you can see the larger 4x6 page behind it. I used a different patterned paper for the front and back of this album, which is a fun look! 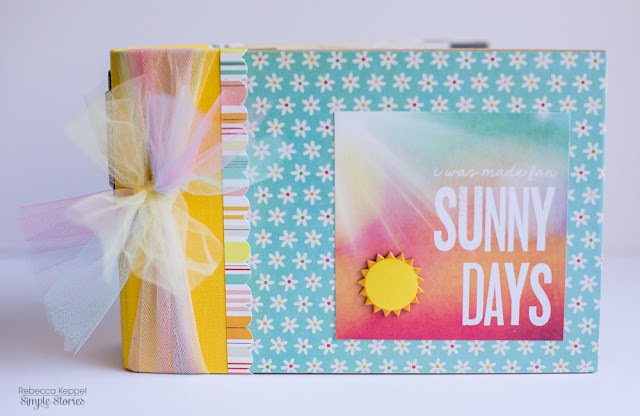 My last 4x6 SN@P was a summer album made with the Summer Vibes collection. I decorated the binding with some stickers, Enamel Dots and Bradz. I punched two holes into a pocket and put our Universal Studios tickets inside. 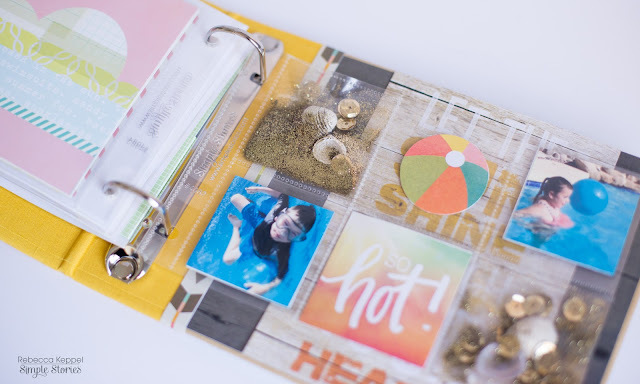 I used the 4x6 pages from the Yellow SN@P album and layered 4x6 Summer Vibes cards on top. 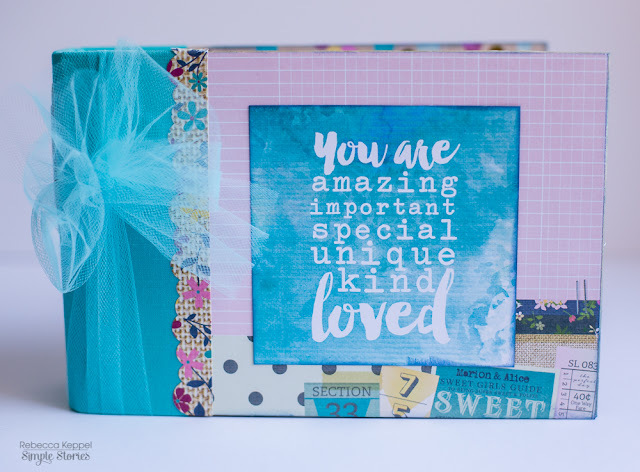 Love that bokeh rainbow card! How fun is the large Bradz in the center of the sun? The photo stickers look perfect on white space in a photo like the water here. 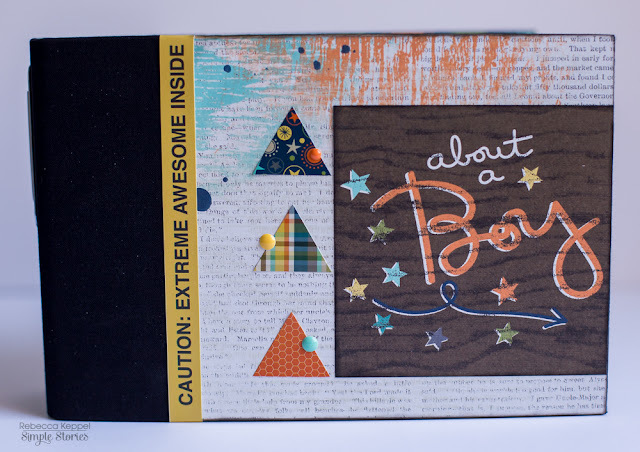 Again, adding a 3x4 page protector is such a fun layer! 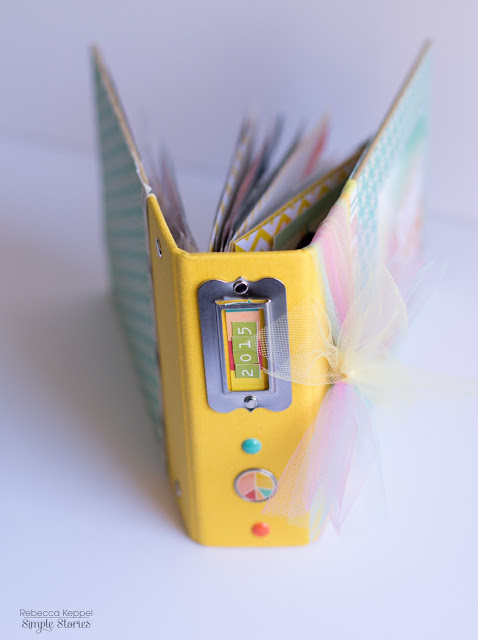 I loved using the Summer Time die cut card in the 3x4 pocket by itself. Especially because it is double sided and the back side is so colorful! This shaker was the most fun to make! 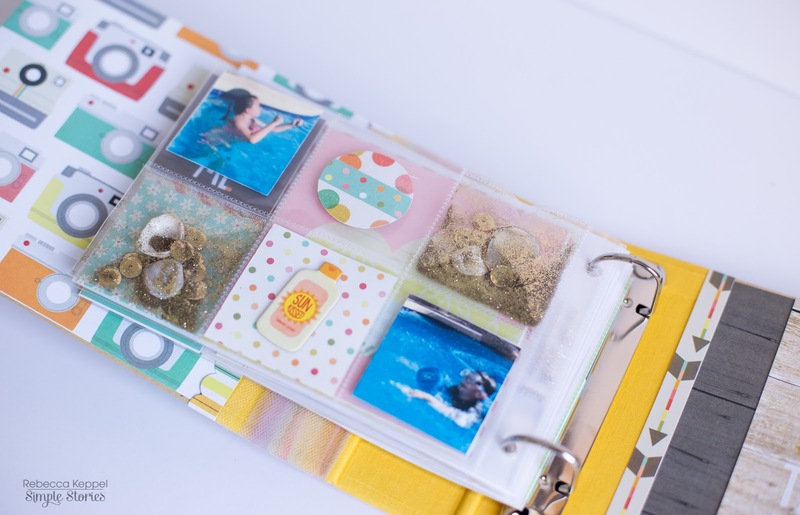 I included glitter embossing powder that looked like sand, gold sequins and actual sea shells! 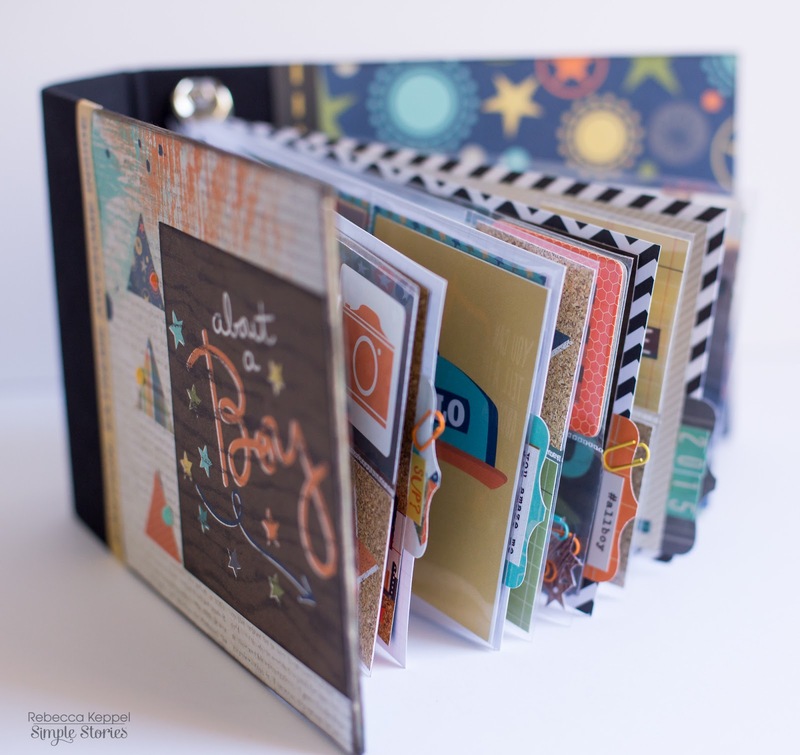 So there are three SIMPLE 4x6 SN@P albums using three different collections. What are YOU documenting with the 4x6 SN@P albums?